ONE outcome of the invasion of Bruce was the creation of the great earldoms of Kildare, Ormonde, and Desmond. On May 16, 1316, John FitzThomas, Baron of Offaly, was created Earl of Kildare for his steady loyalty during Bruce's advance into Leinster. In 1328 James Butler became Earl of Ormonde, with a grant of the liberties of Tipperary, and in 1329 Edward III conferred on Maurice FitzThomas the title of Earl of Desmond, with the County Palatine of Kerry added to his already great possessions. Thus came into existence within the same century the three most powerful earldoms of Ireland. Several of the descendants of these Earls became Viceroys during the ensuing centuries. It was hoped that the erection of these three peerages, held directly under the King, would have kept the Anglo-Norman gentry of the South of Ireland quiet and loyal to English rule. But a variety of causes tended to prevent this wished-for result. In the first place there was the tendency already showing itself to relapse into the habits and ways of the people by whom they were surrounded. This was especially the case with the Desmond family, whose palatinate was far from the Pale and who gradually became Irish in all but origin. Against such tendencies the Irish Parliaments in vain directed laws forbidding imitation of, or union with, the native race. Intermarriages were always going on, even in the families reckoned the most English in the land; in the fifteenth century Sir James Butler, who became Deputy under Edward IV, was married to an Irish wife, Sabh (or Sabina) Kavanagh, daughter of Donal MacMorrogh of Leinster, and her third son, Sir Piers Butler, became Earl of Ormonde in 1515. Her husband styled himself Chief Captain of his nation, after the Irish form, and had great influence among the people of his district. An Act of the Irish Parliament had to be obtained to entitle Sabh, as a native Irishwoman, to rights under English law. The father of this Sir James Butler, Edmond MacRichard, had assumed the Irish title as an Irish chief, and evidently spoke and read Gaelic, for two books in that language were compiled for him by one of the O'Clerys about 1453, called The Gaelic Book of MacRichard Butler  and the Book of Carrick. They were given as part of his ransom when he was defeated in battle by Thomas, Earl of Desmond, in 1462, such manuscripts having a high value in mediaeval Ireland. If such an intermixture of races was going on even among the Butlers, it is less surprising to find the frequency with which marriages with the daughters of Irish houses occurred among the Burkes. It was one such marriage, that of Richard MacWilliam Burke, Lord of Clanricarde (d. 1383), to the Lady More O'Madden, which brought the estate of Portumna into the Clanricarde family. 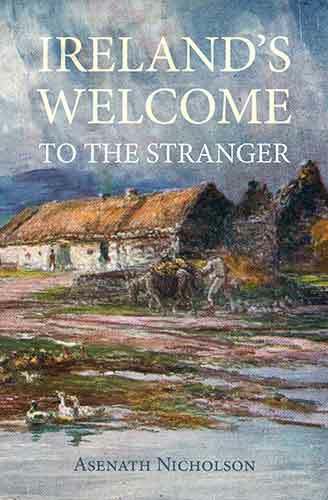 Such households would naturally be conducted in the Irish way, and the children would learn from their earliest days to speak the language of their adopted country. These powerful lords grew restive under the interference of successive Deputies, who never ceased to thwart them in order to check their increasing influence, and who constantly transmitted to England official reports which were calculated to bring their acts into suspicion. These causes, and universal fighting and broils in the country among the English of Norman descent, made frequent Parliaments necessary during the half-century succeeding the invasion of Edward Bruce. The last public appearance of the Red Earl of Ulster was at a Parliament at Kilkenny in 1326, when he entertained the barons in splendid style, retiring after the ceremony to die in the abbey of Athassel; his heir, William Donn, or 'the Brown Earl,' being then a boy of fourteen. By 1327 the quarrels between the barons had become so violent that the de Burghs, the le Poers of Waterford, the de Berminghams, Butlers, and Geraldines, were commanded, on pain of forfeiture, to desist from mustering soldiery and making war on one another. In the South these broils were so constant that the inhabitants of Cork, Kinsale, and Youghal addressed a petition to the Viceroy and Council begging them to send down "two justices and some good English captains and men," without which they say, "we are all cast away, and then farewell Munster for ever." The citizens dared not walk outside the walls for recreation without a body of armed attendants, and as a result of this seclusion they were forced to intermarry, so that "well-nigh the whole city is allied together." The restlessness of men's minds was aggravated by rumours of heresies and trials for witchcraft, but still more by repeated outbreaks of the plague. These outbreaks in Ireland were the final wave of the Black Death, which had swept away more than half the population of England in 1348. The succession of viceroys reflects the attempts of English monarchs to govern Ireland by a series of experiments. In early times the office of Justiciar (Capitalis Justiciarius) was placed in the hands of the most powerful of the Norman nobles; but their jealousies led to the substitution for them of a series of ecclesiastical rulers, men of European experience, but with little knowledge of the country they were called upon to administer. After them a return was made to the rule of nobles on the spot. The most beneficial tenure of office in the early period was that of Sir John Wogan, who arrived in Dublin in 1295 and brought about a short truce in the Burke and Geraldine wars. In 1307 he suppressed the Knights Templars, whose pretensions had become intolerable, and whose priors, ruling from Kilmainham, defied Deputies in a way difficult to be borne. During his tenure of office he held three Parliaments at Kilkenny, that of 1310 being memorable as the first to which elected representatives of the cities and boroughs were summoned, as well as the spiritual and lay peers, and knights who represented the counties and Liberties. But it was not until 1541 that members of Irish blood were called on to attend. The early Parliaments were exclusively of Anglo-Normans, occupied with the interests and quarrels of their own class. They were, as a rule, anti-Irish in spirit. The condition of things existing in the fourteenth century had never been contemplated in the early days of English rule. All the records go to show that it was the original intention of the sovereigns of England to make no distinction between the people of the two nationalities, but to treat them in every respect alike. Various early Church grants were signed together by Norman and Irish lords, and Irish bishops signed the ordinances of synods or joined the barons in such matters as the decree of 1205 about the body of Hugh de Lacy. The King's mandate appointing Henri de Londres as Justiciar in 1221 was sent to the Irish princes as well as to the Norman knights. In the following year, 1222, when a question as to a writ of bounds came up which was contrary to the law of England, it was laid down that "the laws of Ireland and England are, and ought to be, the same," though in a later comment on the same subject it was arranged that in the lands inhabited by Irishmen Irish custom was to be adhered to, and in the English parts that used in England was to be enforced. It was one consequence of the submission of the Irish princes that they became henceforth eligible for the protection of English law. Their oath of fealty placed them in this new position. When O'Neill of Ulster, O'Conor of Connacht, O'Brien of Thomond, MacMorrogh of Leinster, and Malaughlan of Meath made their submissions they were recognized as equally capable of enjoying English law with the Norman nobles. Theoretically, English law was thus granted to the whole country, for their rule extended over the larger part of the five provinces. They were known as the "Five Bloods who enjoyed English law," and this placed them in a position of superiority to those who were not so favoured. This is often referred to in legal pleas, as when, in the reign of Edward II, O'Kelly is described as an Irishman "not of the blood or progeny of those who enjoy the laws of England." There seems no doubt that it was intended that English law should become the general usage of the septs of the submitters, and thus gradually be introduced throughout the whole country; but in fact no such drastic change as the substitution of a foreign system of law was possible in a country which had lived for centuries under its own native regulations formed upon a manner of life wholly different from that which had given rise to English law. It could not be universally enforced until the plantations had brought an English population to replace the native inhabitants, people who carried with them the laws, customs, and language of their own country. Up to the reign of James I the Senchus Mór or Brehon law, which the English called "the law of the hills," still held its own over the native parts of the country, and the Brehon, as expounder of that law, retained his authority among the people. But the chiefs who were brought into contact with the English officials, and the merchants, traders, and others who had constant dealings with English people in the Pale felt the practical inconveniences arising from a double system of administering justice, and they made repeated attempts to obtain the protection of English law. In 1277 Robert d'Ufford transmitted the intelligence that "the Irish had offered 7000 marks for a grant from the King of the common laws of the English," and three years later, in 1280, the request was renewed. The King commanded that a conference should be called immediately to discuss the question; but we hear nothing of it further; probably, like other well-intentioned proposals between the kings and their Irish subjects, the plan was defeated by the men on the spot, whose whole aim it was to widen the differences between the two peoples and to hold down the Irish as an inferior race. About this date the O'Byrnes, the MacCarthys, and even the O'Flahertys of West Connacht appealed for the gift of English law, the latter saying that though they were "meere Irish" they had always been loyal. Many instances of denization to private persons are recorded; it was especially necessary to merchants trading with the towns, in order to put them on an equal footing before the law with the English. Henry III declared that "all Irishmen who chose were to be admitted into the peace of the King and Prince Edward";  but Sir John Davies makes it clear that "the pride, covetousness, and ill counsel of the English planted in the country" interfered to prevent these good designs. During this period of general unrest Parliaments were summoned at frequent intervals; in 1329 one met in Dublin to make peace between the Earl of Ulster and Maurice FitzThomas, Earl of Desmond, and others were called in 1330 and 1331 at Kilkenny when similar disputes had broken out. Violent measures were adopted, which up to this time had been unknown, by weak and vindictive Justiciars, such as Sir Antony Lucy and Sir Ralph d'Ufford (1344), to regain their waning authority, but they only resulted in still further stirring up opposition and increasing disaffection. The Earl of Desmond, though he had received the King's pardon, was captured at Limerick by Lucy and shut up in prison. Sir William Bermingham and his son Walter were taken at Clonmel, and, notwithstanding the King's charter, imprisoned in Dublin Castle. In 1332 Sir William, who is called "a bold and noble gentleman, of rare excellence in war," was hanged in Dublin, to the open grief of many. His son was set at liberty. Campian says quaintly, "William Bermingham, a warrior incomparable, was found halting . . . and so hanged was he a knight among thousands odd and singular [i.e., remarkable above his fellows for his qualities]." D'Ufford came over in July 1344, after a time of "universal war through the whole of Ireland," and during his period of maladministration the wars between the Desmonds and the Burkes were at their height. Sir Maurice (or Morish) FitzThomas FitzGerald, first Earl of Desmond, whose great possessions were second only to those of the de Burghs, was the son of that Thomas a nAppagh, or 'of the Ape' whose marvellous escape from the burning house when he was an infant in the cradle, by the aid of a pet monkey, had left him the sole survivor of his family. His father and kin had been wiped out at the battle of Callan (1261) near Tralee by the MacCarthy Mores, of whose lands they had possessed themselves. Thomas lived to grow to man's estate and to avenge the destruction of his family. He was Justiciar in 1295, when Sir John Wogan came over to take office, and he died in 1298. His son Morish FitzThomas extended his influence by a marriage in 1312 with Katherine, daughter of Richard de Burgh, Earl of Ulster, and his fiery temper is shown by his attack on Arnold le Poer for calling him in public a 'rimer.' Morish rose high in favour with Edward III, to whom he had rendered signal services in his Scottish wars, and was by him created first Earl of Desmond in 1329, with a grant of the Liberty or Palatinate of Kerry, to be held of the English Crown, and a grant of the advowson of Dungarvan. He scoured the Irish Sea with a fleet confided to him by the King, and kept the coasts free of pirates. He held the native chiefs in subjection, forcing on them obedience to the English sovereign. The O'Nolans and O'Mores felt his hand in turn. He had ten thousand men of the O'Briens at his back, and the MacCarthys were never free from fear. He turned his hand against his own wife's family, the de Burghs of Ulster, and involved the country in war. Viceroys like Lucy and d'Ufford were not the persons to deal with a proud noble like Desmond, whose power and pretensions were growing to an inconvenient height; both the combatants were shortly afterward captured at Limerick and shut up in prison. Desmond escaped, but was recaptured and sent to Dublin, where he lay in confinement for eighteen months. Subsequently he was liberated, the highest nobles in the kingdom standing as sureties for his fidelity. But when he was summoned to attend a Parliament in Dublin in 1345, Desmond again, as in 1331 and 1341, "came not"; and d'Ufford, "with the King's banner displayed," marched into Munster, against the consent of the great lords, commanding Desmond on pain of forfeiture of his lands to repair to him. Morish had replied by summoning an independent Parliament at Kilkenny (November, 1341), where, after swearing fidelity to the Crown, a formal complaint was drawn up, to be transmitted to the King, against the policy and greed of "the needy men sent from England without knowledge of Ireland." They proposed three questions for the King's consideration: (1) how a realm at war could be governed by one unskilful in all warlike services; (2) how an officer under the King who entered very poor should in one year have grown to more excessive wealth than men of great patrimony in many years; (3) how it happened, seeing they were all called lords of their own, that the Lord of them all (the King) was not a penny the richer for them? These queries were aimed directly at the Deputies, who were robbing Desmond's castles, revoking patents for grants of land, imprisoning people without cause and extorting from them sums of money, little of which went into the public treasury. The twenty-six noble sureties of Desmond were especially suffering from their depredations, the Earls of Ormonde and Ulster alone being too high placed for him to dare to touch them. A dangerous precedent was set up when, under the influence of men like the Justiciar, Edward III showed his intention of superseding these powerful and independent descendants of the old Norman conquerors by new men, "English born in England," who knew nothing of the country, but flocked over in order to enrich themselves at the expense of the great lords whose influence it was the main object of the officials in power to subdue. After the receipt of the formal complaints made by Desmond's Parliament, d'Ufford was called to England to answer for his misdeeds and for the incessant frays allowed under his government between the Anglo-Norman nobles.